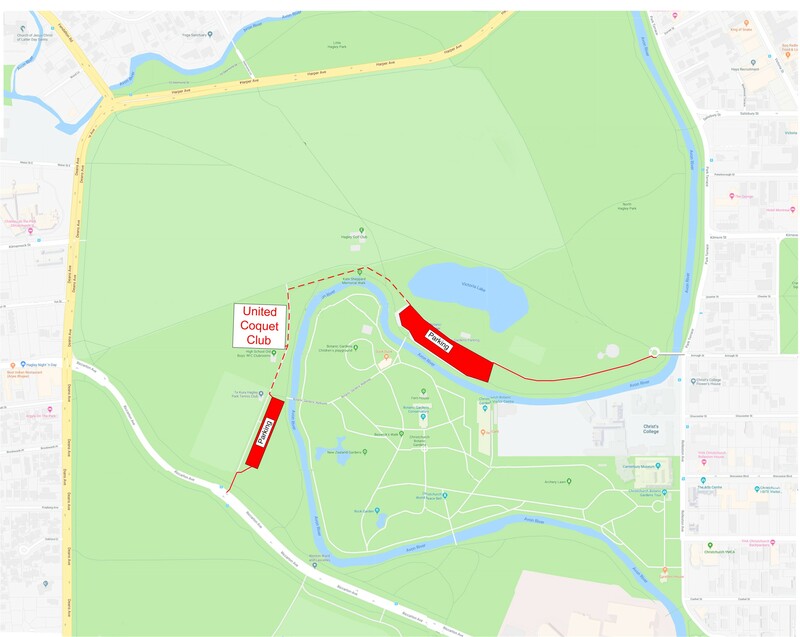 United Croquet Club is located in North Hagley park, Christchurch, New Zealand. Vehicle access is off Riccarton Avenue. There is very limited parking at the club that is shared with the other Trust members, Christchurch Petanque and High School Old Boys Rugby. 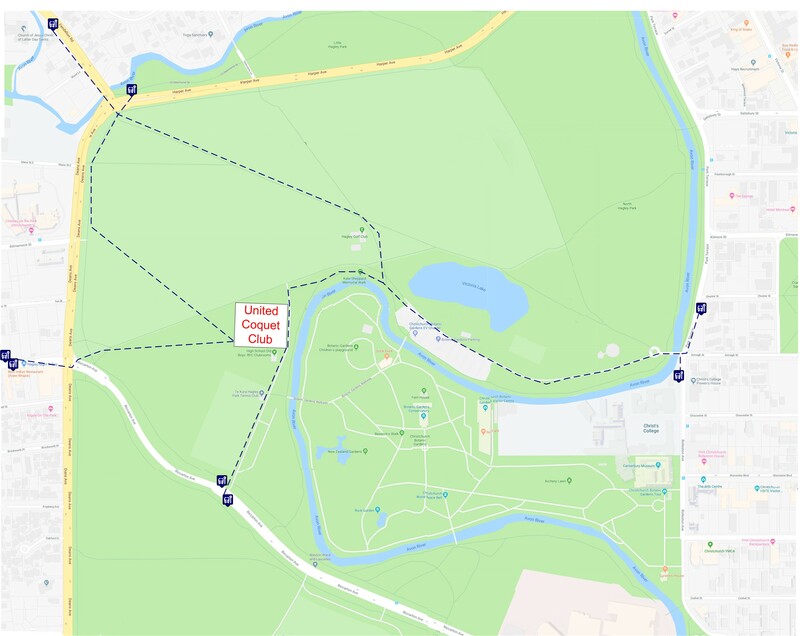 There is a public car park off Riccarton Avenue 100 m from the croquet club and a larger park that is a 400 m walk from the club and accessed from the Armagh Street access to the park. Both parks have a three-hour time limit between the hours 8 am and 6 pm, Monday to Friday. Club members can get a car pass that allows them to park more than three hours. Several buses stop around the park are within walking distance of the club. They are listed below and shown on this map that shows how to walk from any part of the park. Information on buses, including a trip planner, can be found at metroinfo.co.nz.